Home/Free Vocal Tips/Vocal Technique – How Much is Enough? Vocal Technique – How Much is Enough? Here are a few questions I have received from readers of my many magazine articles and my answers to them. If you have a question you’d like answered, please Email to Me and I’ll answer it in a future vocal tip. Q. “I’m singing professionally already. Will vocal lessons force me to start from the beginning? Will I have to unlearn everything I know?” – D.B. A. I would certainly hope not. To the degree you are achieving success with your voice, you are already doing something right. To throw that away would be a big mistake. Voice lessons should assist you in understanding what you’re doing right and in knowing why it’s right so you don’t mistakenly abandon correct technique. 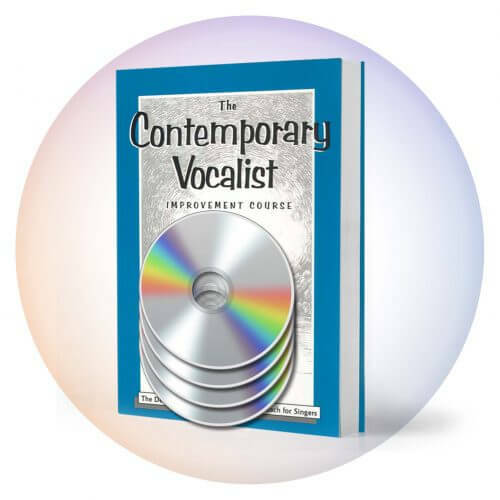 Additionally, lessons should provide you with knowledge and tools you may be lacking so you can expand your vocal sound vocabulary and express yourself better. 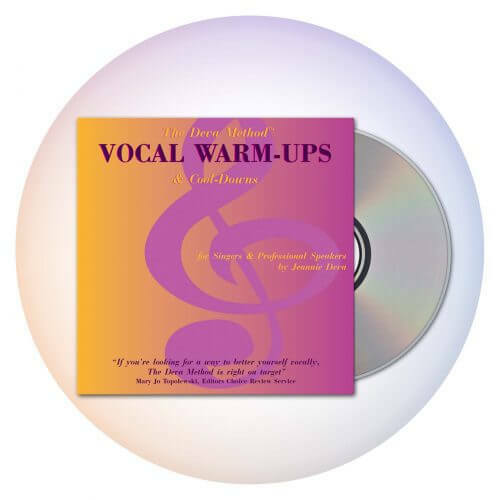 There may be exercises you don’t yet know that will increase your endurance and stamina and others that might warm-up your voice more efficiently. A singer who understands and is certain of proper natural technique, is always more confident and professional. It is important to always push the envelope and continue to grow as an artist in as many ways as possible. Q. “Is there a point where a vocalist could be receiving too much technique, perhaps detracting from a more natural and spontaneous delivery?” – A.S.
A. Overdoing technique is not the most common problem for singers, but it can be done. Engaging in vocal technique for its own sake is misguided and unmusical. The purpose of vocal technique is to give you enough facility to say what you want and in the way you want to say it, without hurting yourself when you perform. Technique helps you acquire enough skill so that you can communicate to your audience. It is not an end unto itself, but rather a means to an end. And that end is a vocal performance that is good enough to give your audience a desired experience. Your voice and performance touch and move them emotionally. You need to have the skill to sing in tune, with control and adequate range and power to deliver an emotional experience. That will require a different level of skill for different performance situations. It comes down to the philosophic question of “What is art and how good does it have to be to be good art?” We could write a book trying to answer that, but let’s keep it simple. When you perform, you want to have an emotional effect upon your audience. You want to communicate something to them, a feeling, an idea or whatever it is. You need to increase your technical vocal skill up to the point where your performance will reach your audience emotionally. There is no purpose in going beyond that. You have achieved the goal of your performance if you do that. If you can’t do that, then it may be your performance or your vocal technique or both that are inadequate. Now achieving consistency where you can touch your audience performance after performance and not have “off nights” is a matter of good technique (both vocal and performance) well practiced to a professional level of skill. Notice I said both vocal and performance technique. There are things to know about how to deal with audiences and what makes for good or bad stage manners. Perhaps we can cover some to these in future articles. If you are interested in this, send me an email. As long as the technique complements the way your body naturally works to make vocal sound, it will make sense and not require constant thought and vigilance to apply. If you are trying to learn a technique that conflicts with your body’s natural vocal process, it actually takes more effort and it will result in muscle manipulations and tensions that further complicate singing. Some extra thought may be needed when you begin unlearning bad habits. You have to familiarize and orient yourself to the natural functioning of your body. But soon you find it much easier and much more fun to sing! Technique has more to do with learning how to work with your voice and letting it work for you, without unnatural manipulations or gimmicks. It’s a process of simplification rather than complication that will open the doors to freedom of expression and communication with your audience. 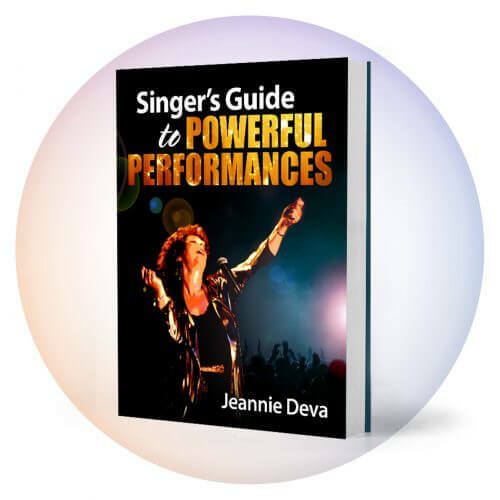 By Jeannie Deva|2018-10-27T10:43:19+00:00July 28th, 2018|Free Vocal Tips|Comments Off on Vocal Technique – How Much is Enough?